The earliest major challenge presented to this Association was to develop Global accreditation standards. It began by reviewing existing standards. The World Federation for Medical Education had developed recommended International Standards for medical education. In the United States the Liaison Committee on Medical Education of the American Medical Association and the Association Of American Medical Colleges had also developed standards that had been used for many years in the United States, Puerto Rico and Canada. The States of New York, Florida and California had Standards and gained some experience in evaluating medical schools outside their borders. Finally, the U.S. Department of Education had established a National Committee on Foreign Medical Education to determine if accreditation standards used in other nations were comparable to those used in the United States. This Committee developed guidelines to fulfill its mission. The International Association of Medical Colleges (IAOMC) decided to use each of the previously mentioned standards as the starting point to formulate global standards. A Standards Committee of medical educators was formed. The process used was to first consolidate all standards by subject matter placed in the same sequence. They were then consolidated into IAOMC’s proposed standards. To insure broad consideration of these standards it was agreed to sponsor hearings on them. Every Mission to the United Nations was advised of the hearing and asked to notify the medical schools within their nation. The United Nations list of medical schools was used to email, fax and direct mail each medical school in the world. A list of the world’s regulatory agencies was obtained and notice was sent to each one of them. Thus anyone interested in medical school accreditating standards was provided with the opportunity to comment. A press release was sent to a list of medical editors and publishers worldwide. Hearings were held in NY on August 12, 2005. Dr. James Appleyard Immediate Past President of the World Medical Association and Dr. Lynn Eckert, Director of Academic Programs, Harvard Medical International addressed IAOMC’s panel of medical educators. A digest of that meeting may be found under the Home page meetings tab of this website’s Home page. As there was some comment notice of meeting was insufficient it was decided to extend the written comment period to allow the Committee to have the benefit of any person or organization wishing to comment. Two committee members were assigned specific sections for review and redrafting. The Chair assembled the revised standards and forwarded them to the Association’s President. The Standards were then reviewed and refined by Thomas Monahan, a widely recognized accreditation expert. They were submitted to the IAOMC Board and approved in December 2005. The standards that follow will never be final. They are presented to the world as an effort in the never-ending pursuit of excellence. The minds of Committee members are not closed. Any/every suggestion or submission will be welcomed, presented to the full committee and considered. A variety of organizational forms for a medical school are possible and no single organizational pattern is prescribed. A medical school should be chartered or authorized to operate as a for-profit university or institution, a not-for-profit university, or a not-for-profit institution by the government of the jurisdiction in which it operates. The primary purpose of any medical school, whether for-profit or not-for-profit, must be to admit and train qualified students in a program of high quality medical education for the purpose of becoming practicing physicians. To accomplish this purpose, the institution must have a clearly written statement of its mission and objectives. The medical school must be legally authorized to provide a program of medical education by the appropriate civil authorities of the country in which it is located. In addition, the medical school must be listed in one or more of the generally accepted resource volumes on international education. The manner in which the institution is organized shall be set forth in writing and promulgated in by-laws so that the responsibilities and privileges of all administrative officers, faculty, students and committees are clearly defined and widely known. 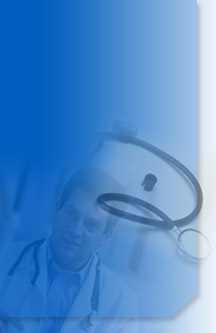 Although the medical school may determine the administrative structure that best suits its mission and objectives, the medical school must be organized as a definable academic unit responsible for a program of medical education of not less than 32 months which leads to the MD or equivalent degree. A governing system must be established which allows the institution to accomplish its stated goals and objectives in providing a high quality program of medical education. The governing body responsible for oversight of the medical school must be composed of a majority of persons who have no personal or pecuniary interest or other conflict of interest in the operation of the school, its associated hospitals, or any related enterprises. The terms of governing board members should be overlapping and sufficiently long to permit them to gain an understanding of the programs of the medical school. The institution, through its governing system, must provide mechanisms to assure appropriate process and high quality in the selection, appointment and promotion of faculty, and for the selection, promotion and graduation of students. In addition, the governing process shall provide faculty with a formal role in institutional decision making. Administrative officers and members of the medical school faculty shall be appointed by, or on the authority of, the governing board or the medical school or its parent university. The governing board shall assure that in those institutions with more than one campus, e.g. dispersed clinical and/or administrative sites that written policies and procedures exist governing the division and sharing of administrative and teaching responsibilities. In addition, if the medical school or its affiliates provides patient care, a formal system of quality assurance for its patient care programs shall exist. The chief academic official (CAO), dean or administrative head of the medical school must be qualified by education and experience to provide leadership in medical education and scholarly activity appropriate to the school’s mission and objectives. The CAO of the medical school must have ready access to the university president or other university official charged with final responsibility for the school and to other university officials as are necessary to fulfill the responsibilities of the CAO’s office. He or she must have sufficient authority provided by the institution to administer the educational program as may be necessary to fulfill the responsibilities of the CAO’s office. There must be clear understanding of the authority and responsibility for medical school matters among all senior officials, the faculty, and administrative staff. Affiliated institutions, departmental heads and senior faculty members must have authority consistent with their responsibilities within the program of medical education. The medical school administration should include such associate or assistant department chairs, leaders of other organizational units, and staff as are necessary to accomplish the mission and objectives of the medical school. The number of administrative personnel must be sufficient to ensure the effective administration of the program of medical education. There should not be excessive turnover or long term vacancies in medical school leadership. Within the authority of its governing board, the institution shall provide that overall educational policy and its implementation are the responsibility of the institution’s faculty and academic officers. Responsibility for the administration of institutional policies and programs should be clearly established. There must be appropriate accountability of the management of the medical school to an ultimate responsible authority external to, and independent of, the school’s administration. This external authority must have sufficient understanding of the medical program to develop policies in the interest of both the medical school and the public. The administrative structure must ensure that the faculty is appropriately involved in decisions related to admissions, hiring, retention, promotion and disciplining of faculty and in the on-going assessment and review of the curriculum including both the basic and clinical sciences. Faculty members should also be included in decisions concerning mission-critical areas specific to the school. Strategies for assuring direct faculty participation may include peer selection or other mechanisms that bring a broad faculty perspective to the decision making process independent of departmental or central administration points of view. The dean and a faculty committee representing reasonable faculty influence, which would typically be composed of department chairs, shall determine medical school policies. The faculty must also provide academic and career counseling for students. The medical school must possess or have assured use of sufficient clinical facilities and patient resources to ensure achievement of the objectives of the clinical curriculum. When clinical instruction is offered at more than one geographically separate site, the medical school must ensure that the educational experiences at all clinical sites are comparable and that students are evaluated using equivalent criteria. Each clinical site must have a primary academic officer or director of medical education who reports to the dean of clinical studies of the medical school. The medical school faculty must define the objectives of the school’s educational program. These educational objectives should be statements of the items of knowledge, skills, behavior and attitudes that students are expected to exhibit as evidence of their achievement. Some core component parts of medical education require skills and hands on experience that cannot be provided by computer based or distance learning. Patient contact is irreplaceable. But computer based or distance learning may help to a limited degree as a supplement. A blend of distance learning along with the traditional methods is usually most effective. The objectives of the educational program should be used by faculty in designing courses, clinical clerkships and in the evaluation of students. The educational objectives, which should be made known to students, faculty and administrative staff, and their associated outcomes, must address the extent to which students have progressed in developing the competencies necessary for the practice of the profession. The structure and content of the program of medical education must provide an adequate foundation in the basic and clinical science to enable students to learn the fundamental principles of medicine, to acquire critical judgment skills and to use these principles and skills to provide competent medical care. Although there is no single curriculum that can best be presented for medical education, each program must include a system for assuring that all portions of the program include sufficient instruction in the necessary subjects as well as opportunities for integrating the basic sciences and clinical sciences components of the program. Contained within this structure must be a system establishing and monitoring all clinical rotations in a satisfactory manner. The program of education leading to the MD or equivalent degree must include at least 130 weeks of instruction scheduled over a minimum of four calendar years. The program must include the contemporary content of those disciplines that have been traditionally titled anatomy, biochemistry, genetics, physiology, microbiology and immunology, pathology, pharmacology and therapeutics, preventive medicine, as well as behavioral and socioeconomic subjects. Instruction within the basic sciences should include laboratory or other practical exercises that entail accurate observations of biomedical phenomena and critical analysis of data. Clinical instruction must cover all major systems and include the important aspects of preventive, acute, chronic, continuing, rehabilitative and end-of-life care. The curriculum should include clinical experiences, both outpatient and inpatient, in family medicine, internal medicine, obstetrics/gynecology, pediatrics, psychiatry, surgery and appropriate electives. In addition, there must be specific instruction in communication skills as they relate to physician responsibilities, including communication with patients, families, colleagues and other health professionals. The recruitment and development of the medical school’s faculty should take into account its mission, the diversity of the student body and the populations that it serves. Persons appointed to a faculty position must have demonstrated achievements commensurate with their academic rank and have the capability and continued commitment to be effective teachers. The faculty must be composed of a sufficient number of representatives of the biological, behavioral, and clinical sciences to implement the objectives of the medical school. Since the composition of the faculty relates directly to the missions and objectives of the medical school, it is the responsibility of the institution to provide a sufficient number of faculty of appropriate quality to assure that the educational obligations to the students are fulfilled. In order to meet these obligations, the faculty must have demonstrated competence in biological, behavioral and clinical sciences. The competence of the faculty to offer the courses and to discharge other academic responsibilities shall be demonstrated by training, earned degrees, scholarships, experience, teaching ability and the ability to advance knowledge. The faculty should be sufficient in number to assure breadth and depth of instruction and the proper discharge of other faculty responsibilities. The ratio of faculty to students in each course shall be sufficient to assure effective instruction. The teaching and other academic responsibilities of each faculty member must be evaluated periodically by the institution. The teaching of each inexperienced faculty member shall be monitored and supervised by an appropriate senior faculty member during the initial period of employment. Each member of the faculty must be allowed adequate time and support to participate in activities to broaden professional knowledge, e.g. continuing education, scholarly research, prepare course materials, advise students, direct independent study and research, supervise teaching, participate in institutional governance, and carry out other assigned academic responsibilities in addition to fulfilling teaching responsibilities. There must be clear written policies for faculty appointment, renewal of appointment, promotion, evaluation, and dismissal which are developed by faculty representatives, appropriate department heads, the dean and administrative staff. Written policies must also exist and be made available to all faculty members concerning potential conflicts of interest, term of appointment, responsibilities, grievance procedures, lines of communication and privileges and benefits. The faculty of the medical school shall develop the standards, criteria and procedures to be used in the selection of medical students. The premedical requirements should include the acquisition of a broad education, including the humanities and social sciences and at least 60 semester hours or two academic years of college study including courses in general chemistry, organic chemistry, biology or zoology and physics. However, the medical school must only admit those students who possess the intelligence, integrity and personal and emotional characteristics for them to become effective physicians. The medical school must establish and adhere to admission standards/requirements and student selection and promotions that are consistent with the institution’s mission and objectives. The final decision for selecting students to be admitted to the program of medical education must be the responsibility of an appropriate faculty committee. The admission of students should be determined through an orderly process using published criteria that are uniformly applied. There must be an established and clearly defined system for the academic advising and personal counseling of students which integrates the efforts of faculty members, course directors, and student affairs officers with the school’s counseling and tutorial services. There must also be a system to assist students in selection of residency training programs, career choices and the selection of elective courses. The medical school must provide students with effective financial and debt management counseling and develop financial aid resources that minimize total student indebtedness. The institution must have clear, equitable and published policies concerning the refund of tuition, fees and other allowable payments. The medical school must have an effective system of personal counseling for students, and provide access to psychiatric/psychological counseling. Students must also have access to preventive and therapeutic health services. The medical school must establish and publicize to all faculty and students its standards and procedures for the evaluation, advancement, and graduation of students and for disciplinary action. The institution shall assure that the students are informed at stated intervals of their progress and remaining obligation for the completion of the program. The institution must maintain for each student a permanent, complete, accurate and up to date transcript of student achievement. Copies shall be made available at the student’s request, in accordance with the institution’s stated policies, or to agencies or individuals authorized to review such records. The medical school must have, or have access to, facilities, laboratories, equipment and library/information technology resources that are sufficient to support the educational programs offered by the institution and to enable it to fulfill its mission and objectives. Facilities including buildings and equipment must be provided that are quantitatively and qualitatively adequate to facilitate the maximum productivity of faculty and students in fulfilling the objectives of the institution. In the basic sciences, those facilities should include sufficient faculty offices, laboratories, classrooms, and libraries. The institution must provide those educational and instructional resources sufficient to support the objectives of the program which are dependent on their use. The medical school must have access to adequate clinical resources for the clinical instruction of medical students. A hospital that serves as a site for medical student instruction must have adequate instructional facilities and information resources. Required core clerkships should be conducted in hospitals where resident physicians in accredited postgraduate training program participate in teaching medical students. There must be written and signed affiliation agreements between the medical school and all clinical affiliates which clearly define the responsibilities of each party. When clinical sites are geographically separated, a system must be established to assure that the educational experiences provided at various sites achieves equivalent educational objectives. Clerkship duration and content must be comparable and the instruments and criteria used for student evaluation, as well as the policies for determination of grades should be equivalent at all clinical sites. The faculty who teach at various sties should be sufficiently knowledgeable of the program of medical education and the subject matter to provide effective instructional and student evaluation. In the relationship between the medical school and its clinical affiliates, the educational program for medical students must remain under the control of the medical school’s faculty. The medical school must possess sufficient financial resources for the size and scope of its educational program and to accomplish its mission and objectives. Financial support must be adequate to enable the institution to achieve their objective, and a system of financial management must exist that will not compromise the effective operation of the program of medical education.